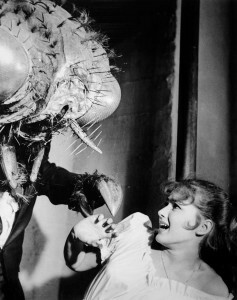 A scene from the original “The Fly.” ©20th Century Fox. The cast of season 5 of “Leverage” lives on in Blu-Ray and DVD. ©TNT.